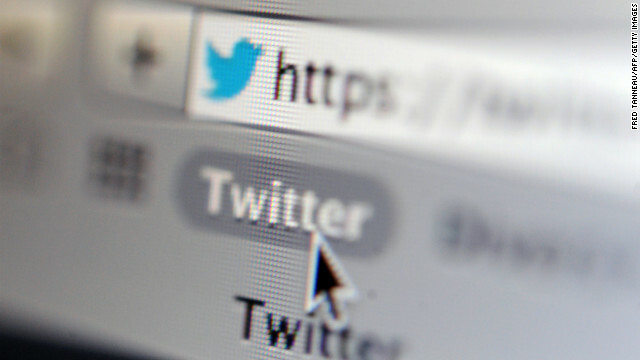 A French judge has ordered Twitter to turn over the identities of users who post hate speech or face a fine. (CNN) - For months now, the French-language twittersphere has lit up with a rash of racist, homophobic, and anti-Semitic tweets using the hashtags #UnBonJuif (a good Jew), #SiMonFilsEstGay (if my son is gay), and #SiMaFilleRamèneUnNoir (if my daughter brings home a black guy). Last fall, under pressure from French advocacy group Union of Jewish Students (UEJF), Twitter agreed to remove some offensive tweets. In October 2012, at Berlin's request, Twitter also suspended a German neo-Nazi account based in the city of Hanover, the first time the company had responded to such a government request. Whiney oven dodgers always get their way. These "people" are very good at hoarding money and complaining. These stereotypes did not just pop up out of thin air. Try catering a bar mitzvah. Actually, Twitter doesn't have to do any such thing. They aren't based in France, so they are not subject to French law. The same French law that basically makes slaves out of it's true peoples so that they can pay all the taxes needed to support the constant welfare needs of the Muslim and African invader.... excuse me, immigrants in France who always refuse to work, follow laws, or do anything else we actually do in a civilized society. It's not that you are totaly incorrect about whatever "group" you don't like. Yes, they are horrible. But so are you, so am I and so is everyone else on the planet. Your focus is too narrow. Extremists are all the same,it dosnt matter if your atheist or believe in religion. If you think your way is the only way and everyone else is wrong, your preaching ignorance. Sadly that's a lot of yall on this blog. Sometimes I get paranoid and think that hate speech exists JUST so that its targets will get so fed up they will agree to government regulation of words. Sometimes I think those extremist groups just thrive on negative attention. "To me, that is not commitment, but the partners constantly looking for someone better and unable to find it." I am so sick of people like this. Dude the people with the highest divorce rate in this country are Christians – adultery! That means they too are looking for other people better and aren't able to find it. What a hypocrite. Wow, not sure why this posted here? Well it's not anti-semitism, Pete but it will suffice as an example of "anti-religous group" ranting. Jews are not allowed frogs. Race is a factor beyond a persons control. Religion is a factor subject to change in many variables within one life time. Hating a human being based on either requires a suspension of critical thought and lacks focus on individuality. One cannot change their race. One can choose to shed their own ignorance and previously-held delusions like religion. People who choose not to deserve all the verbal abuse that can be heaped on them. What you are selling is the idea that no one may opine lest their opinions meet with your approval. If not you will then do your respective duty and say "dirty words" or stamp your feet accordingly..a typical action when attempting to control what is not yours to control. don't get me wrong i'm not a racist or anti Semite (all-thought people say otherwise because i'm pro Palestinian) they are still violating free speech. Hate speech must be protected. Unless you're inciting violence against specific individuals, I don't see why it must not be anonymous. Yes, even hate speech must be protected, as unpalatable as it may be. Identifying racists is a good idea. I like to see the real face of Pakistani blogger Hindu-bot. I bet he would make the hunchback of Notre Dame look pretty. Another lie from a so called atheist there is no such thing as an x-tian. Thanks for showing how useless you are. No such thing as a Christian? Wel, that's what they like to call themselves. Guess we'll need a new name for those 2 billion people. How about if they just call themselves deluded misguided slaves to mythology? That sounds more accurate anyway. X-tian is a totally different worn from Christian. Not too gifted are you? Atheists are liars, note I did not say "x-iests are liars" to have done that would have been as false and useless as your comment. Consider how much better this world would be without you and how good it will become when you are gone. Think real hard, is there something YOU could do today to really improve this world. Sure. There is something very productive I could do to improve the world. I could call some Navy friends, reactivate a battleship, and lob a 16-inch shell from 23 miles away to take you out. That would greatly improve the value of the planet. Oh, and "x-tian" IS a generally accepted abbreviation for the word "christian". I was 'sentenced' to 12 years of religious school, and "x-tian" was used by the students AND staff. More lies from the xtians – 141! No atheist would ever qualify. All atheists are liars and predestined to be useless in this world and the next. The hateful murderous atheist bears the personality of Cain. Proof of an atheist as a liar comes early this am. Thanks. TBT, and you're the ultimate x-tian, aren't you?